Simple and elegant, the solitaire collection is a terrific add on to any bracelet, or worn alone for a classic look! Much easier than a bangle bracelet, the solitaire boasts the same flexible memory wire base, with a solid bangle look. 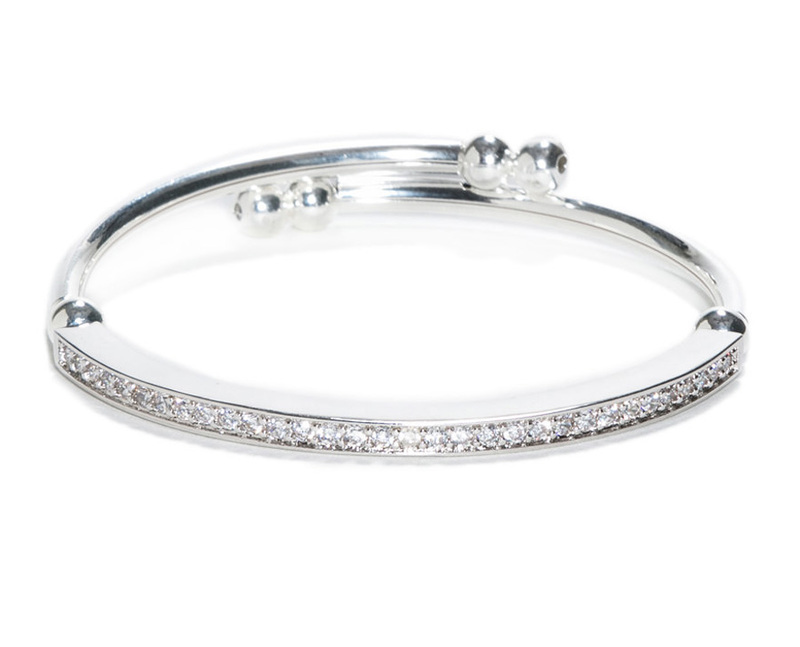 This bracelet features silver plated accents and clear crystal pave stones.